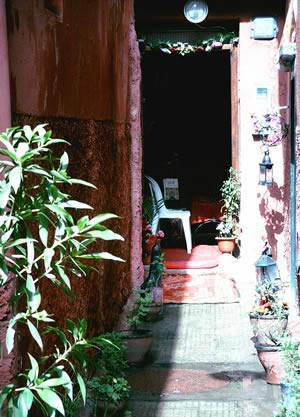 Newly Opened 1st March 2007, The Heart is the first ever backpackers hostel in the Marrakech Medina! Located just 1 minute from the Djemaa place, your right in the heart of the city! *Bathrooms, no extra charge for showers. *Towels, bed linen & Toilet paper included. * Rooftop terrace overlooking the Medina with views of the Atlas mountains. *no large dorms! - maximum of 6 to a room! *Discounts on local services such as Hammam & Massage. 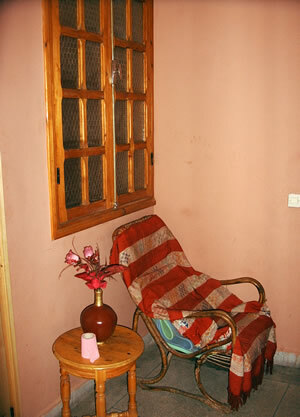 The Heart of the Medina is an established backpackers hostel in the heart of Marrakech. 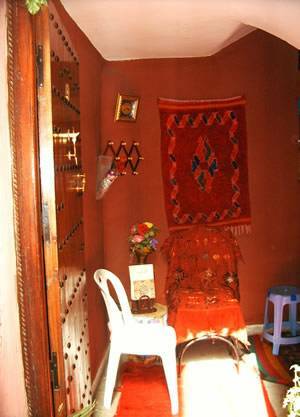 Comfortable, quality rooms and surroundings, coupled with the real hostel experience, the heart of the Medina is your base in Marrakech. 9 euro per person, per night all year round! Chill out on our rooftop terrace with your new friends, drink tea and Coffee in our new Salon De the! With both mixed and female only rooms, and the ability to allocate a whole room, privately to a family or a group, we are able to satisfy your needs during your stay in Marrakech. The Hostel offers single beds in dorm rooms of up to a maximum of 6 people. 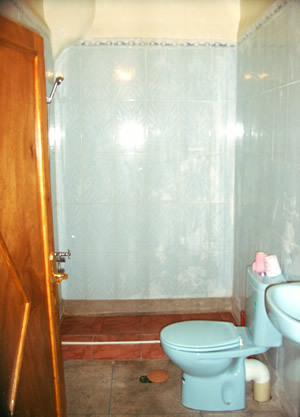 We have plenty of bathrooms for your use, with Hot water at no extra charge. Additionally, we have 2 guest Kitchens for use and Breakfast is included in the rates. From April, this will be a cooked breakfast. Our Guests can chill out on our Rooftop terraces, overlooking the surrounding Medina and with great views of the Atlas Mountains. We also allow our guests to use the facilities of the Riad Rahba, including the Rooftop terraces and the Salon De The for socialising with other guests and drinking Hot Mint Tea, Cafe and Hubbly Bubbly! From April, we will be including FREE internet & Free WIFI. Your reservation balance to be paid upon arrival in Dirham or Euro, whichever is easiest for you. No Shows will result in your credit or debit card being charged the full balance payable. directions for Riad Rahba & Heart of the Medina. Private transfers direct to the Hostel... 12 euro per CAR (not per person. each car holds up to 4 passengers) email us for details.